During the 2nd half of 2012 - the beauty market exploded in the number of non-Asian BB cream launches (the non-Asian version prefer the abbreviation BB to be known as Beauty Balm creams whilst Asian varieties are known as Blemish Balm creams). Being a popular staple in the Asian markets over the past 10 years, it's little wonder that the BB cream mania been as wildly embraced once released in the non-Asian market. Today, you definitely need your own version of a BB cream if you want to be taken seriously as a makeup company (Clinique, Dior, Estee Lauder, MAC, Garnier, Natio and L'Oreal are all on-board!). So what makes a product a BB Cream as opposed to being just a tinted moisturiser? Well they have the following properties. has a gel-like texture and have a dry to touch finish. But even though there are skincare benefits in BB creams they are not to the same level as targeted skincare products so I would still apply my serums and skincar as they are more effective in addressing the my specific concerns. 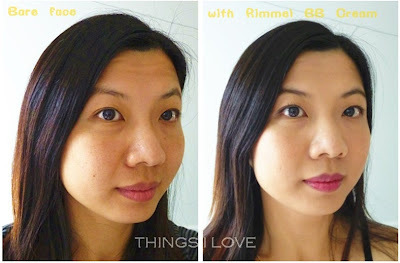 Till recently, my interactions with BB creams have only been the Asian varieties, so I was excited to get introduced to the western versions with my first one being none other than the Rimmel London BB cream. Available in 3 different shade, this BB cream caters to a wider varieties of skin tones. 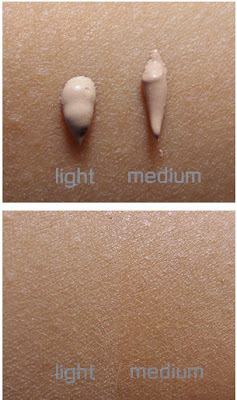 This is a plus as alot Asian BB creams only come in 1 shade. The light, and medium version are neutral tone and both suits me (summer and winter shade) and when blended out gives a very decent colour match. Being SPF 25, it gives decent sun protection so that you don't need a separate sunscreen if you are only going to be in incidental sun for a short period of time (which is adequate for those of us who doesn't get outdoors much during the day). There is a light citrusy floral scent that is not over bearing and in fact quite pleasant. 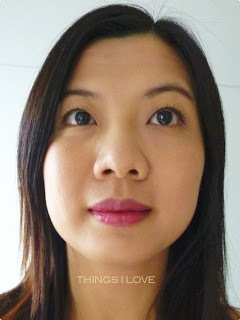 It definitely has a rich gel-like texture but is very easy to blend on skin to give a velvetly smooth finish. For those with normal/oily skin, this BB cream would also provide adequate hydration on its own but if you have dry skin, I'd defintely layer a separate moisturiser rather than solely rely on this for hydration. The claims of being a primer is substantiated as it does a good job of evening out the skin and mattifying it for a 4 hours (after that, my oily skin just shines through). As a concealer, it provides medium coverage so that discolourations, redness and marks are all evened out but any large blemishes will need stronger coverage as this won't cover them as well. It also gives a radiant natural finish that looks like you've applied a soft-focus lens over your face so it temporarily brightens skin as well. As for minimising appearance of pores, I found that my pores looked the same but it didn't accentuate it so this was a moot claim for me. 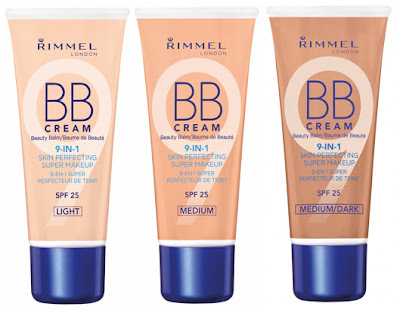 Rimmel has put out a great BB cream as has pulled off 8 of the 9 claims - a pretty good result and I'd happily incorporate this BB cream into my everyday makeup repertory. In fact, I do so most work day or casual weekend when I'm after a natural finish that covers my uneven skin tone, dark circles and what not but don't have me looking too cakey or heavily made-up. I normally would apply a translucent powder on top to set the product and a little blush, lippy and minimal eye product and I'm ready and out the door. This is an example of my not too made up look I sport on weekends. 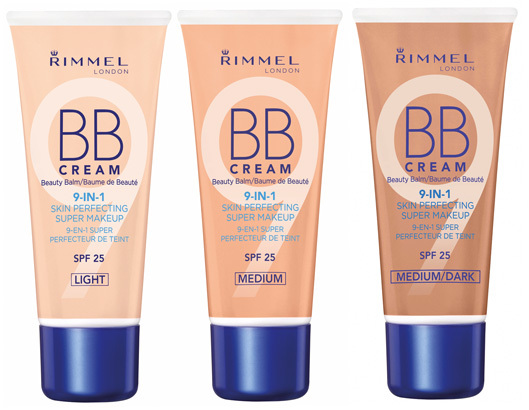 Rimmel BB cream RRP A$1295 at Kmart, Target, Big W, Priceline and David Jones stores as well as Woolworths and selected pharmacies nationally. This BB cream was provided for consideration. Other products featured were purchased by me. 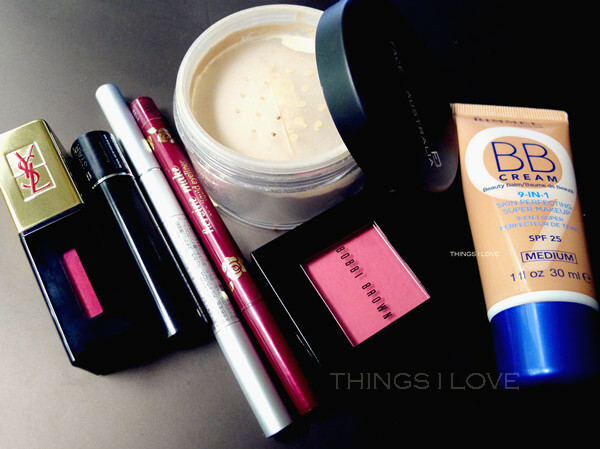 I've tried a few drugstore BBs and so far they've been better than expected!